The program has donated over $80,000 to charities locally and worldwide. Over 7000 books donated through book drive projects to Chicago Public Schools, Veterans Educational programs and Nursing Homes organized by student leaders and GM Shulman. Established chess clubs and chess programs internationally through volunteers in Govindpuri and Ekhta Slums in Delhi, India, orphanages in Leon, Mexico and Bareilly, India, schools in Chile, Malaysia, Borneo, Marshall Islands, Thailand, Cambodia, Germany, Nigeria and Sudan. Donated chess sets and established chess clubs locally at Sunny Hill Elementary School in Carpentersville, Crisis Center in Elgin, local libraries in Barrington Schools, Metcalfe School in Chicago, Native American Reservation in North Dakota and The Spina Bifida Association. 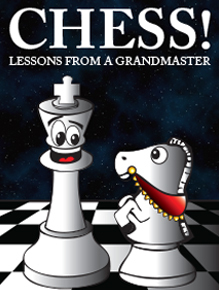 Chess textbook published by GM Shulman and Rishi Sethi is continuing the tradition of combining excellence in learning with service and philanthropy. Through the program textbooks were donated to over 100 learning centers and sales of the textbooks made it possible to support local chess clubs. Since its inception 10 years ago, over 30,000 volunteers from diverse backgrounds have donated more than 50,000 hours of service to their communities to organize chess programs locally and worldwide. The program holds summer chess camps taught by world renown Grandmasters serving to attract students from all over the nation. In its latest long-term program it has transformed students into providers of medical services for a burn victim living in the slums of India. The documentary was screened at Columbia University in New York, Good Shepherd Hospital in Barrington and was an entrant for an Emmy Award in the non-profit category.